Tornado HP is the most suitable horizontal washer for industrial processing, where the highest reliability in terms of washing and drying quality is requested, when working at high production speed. Conceived with a high level of automation, it can be completed with an automatic control system for water quality and energy consumption. 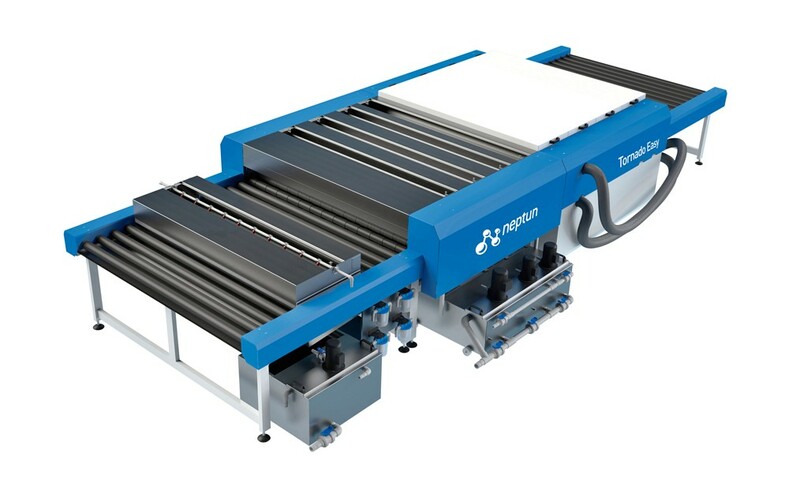 The wide range of options make it ideal for several production requirements: glass edging plants, screen-printing and lamination lines and production of solar panels. Available for dimensions from 1300 to 3300mm. 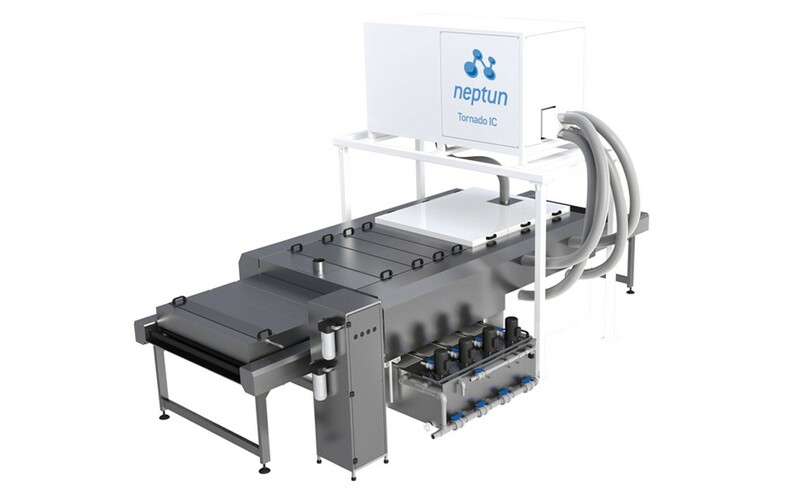 Tornado Easy is the line of horizontal washing machines by Neptun; it is designed as a basic version of the Tornado HP and maintains its basic features; it is intended for situations where cost effectiveness is critical while performance requirements are not excessively high. 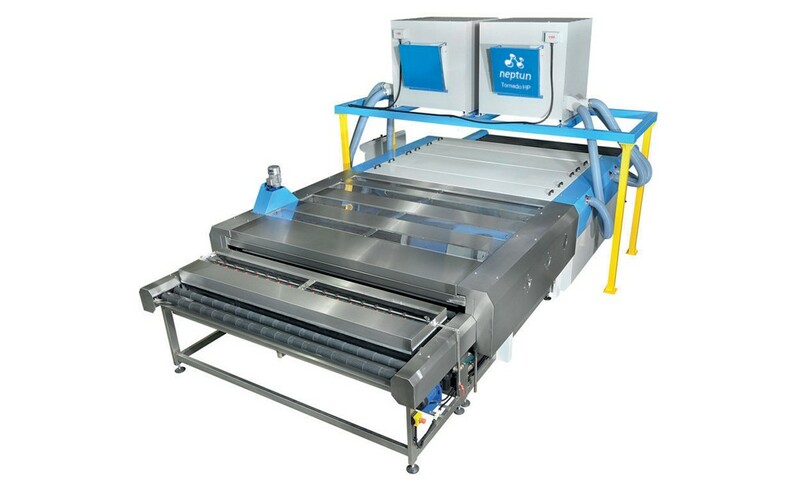 A reliable machine for accurate washing of 1300 to 2600mm glasses, especially designed as for a stand-alone or in-line use for factories with limited investment budgets. 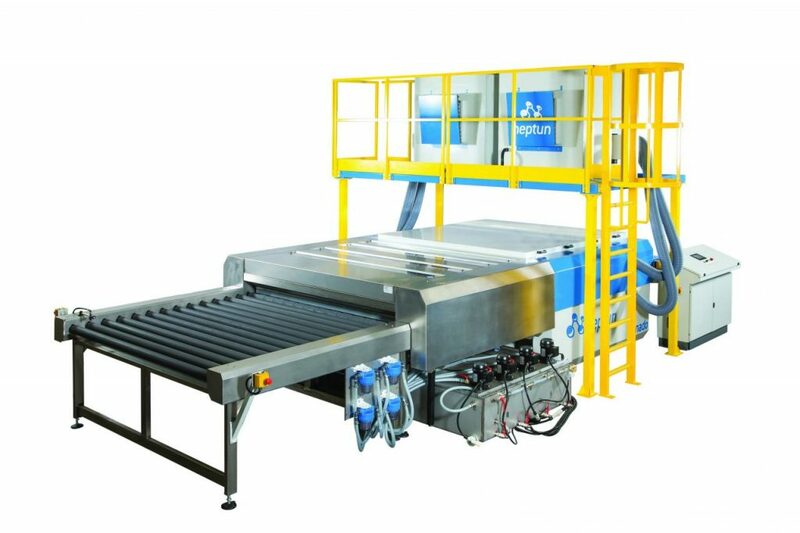 Tornado IC is a horizontal washing machine designed to meet the most extreme requirements in terms of glass cleaning. Tornado IC was developed for the semiconductor industry, for the cleaning of substrates prior to the deposit of TCO at an intermediate stage of production of solar panels and in all situations where a decontamination level compatible with ISO Class 4 clean room is needed (Class 10 FED STD 209E). Available for dimensions from 1300 to 2000mm.